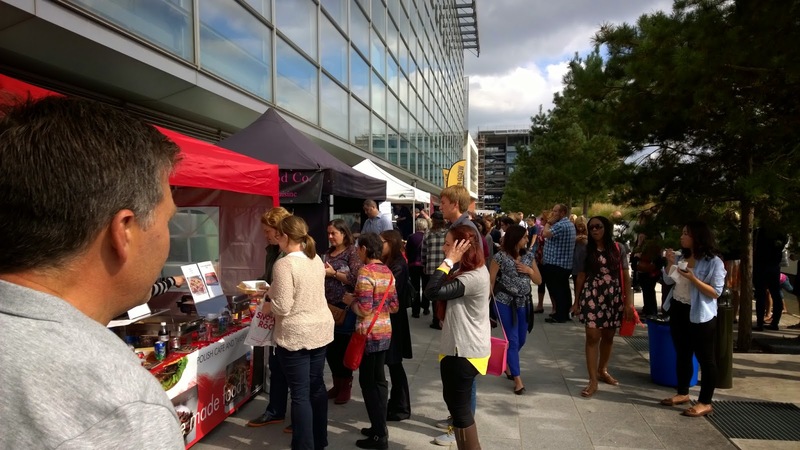 Way back in September, Edd and I headed to Birmingham's Millennium Point for the Birmingham Independent Food Fair. 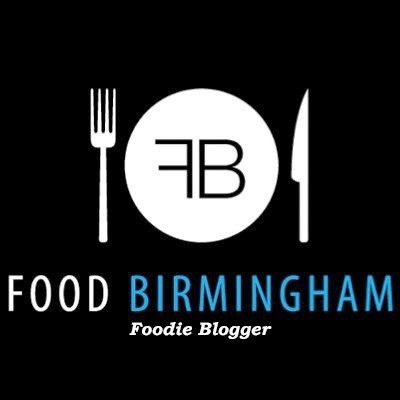 This was a celebration of food and drink in Birmingham. 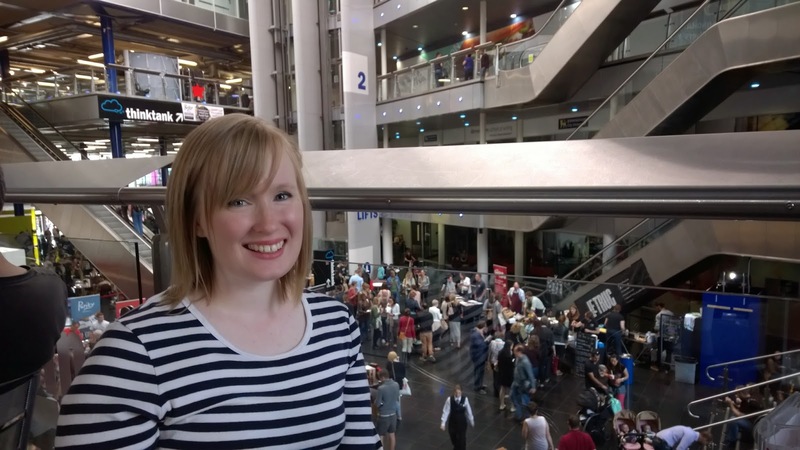 So many new businesses have popped up in the past few years, it's a great time to be in the city! *Kneals Chocolates- these are amazing amazing amazing!! Those are the ones I remember off the top of my head- clearly these are the ones which made an impact! An early bird ticket was about five pounds. This got you a card which entitled you to samples from each place. You could also buy larger items. Some places were more generous than others of course! From reading reviews in various places, I know some people were annoyed that members of the general public could get in and buy items. This meant that the stalls ran out of food fairly quickly. I can see why the organisers would think 'the more the merrier' but it wasn't that great for those people who had paid to get in. You also spent a great deal of time queuing. I believe this was the first time they had run the event on this scale so I am sure they will have ironed out the creases by next time. A talk from local Langley's gin. 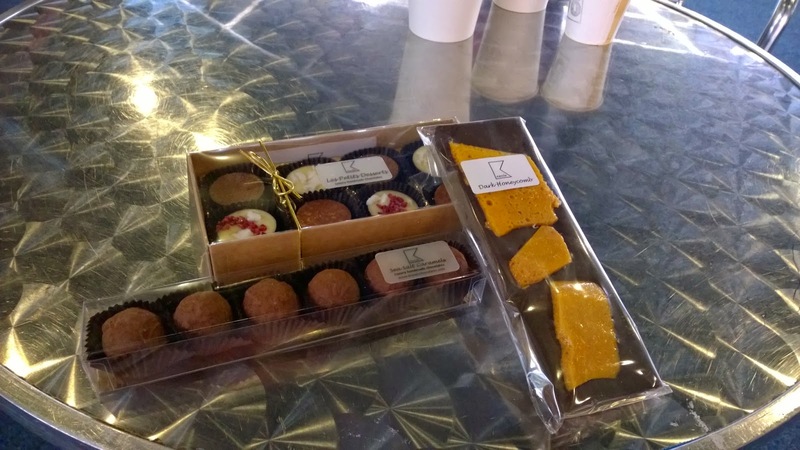 Kneals Chocolates- the greatest ever chocolates! This sound like a good day overall, the chocolates look pretty amazing from the pictures.